That’s because when the alloy is heated during welding, its molecular structure creates an uneven flow of its constituent elements—aluminum, zinc, magnesium and copper—which results in cracks along the weld. 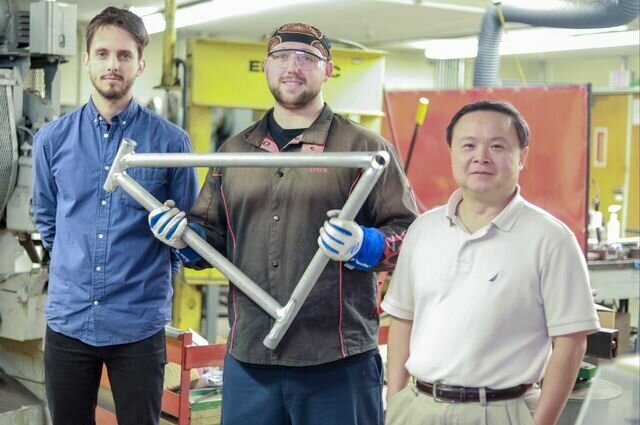 Now, engineers at the UCLA Samueli School of Engineering have developed a way to weld the alloy, known as AA 7075. The solution: infusing titanium carbide nanoparticles—particles so small that they’re measured in units equal to one billionth of a meter—into AA 7075 welding wires, which are used as the filler material between the pieces being joined. A paper describing the advance was published in Nature Communications.